Measurements: 15mm long X 6mm wide. They are 4mm deep. Characteristics: These have a zigzag or Z shape. Additional Information: These have 2 holes. 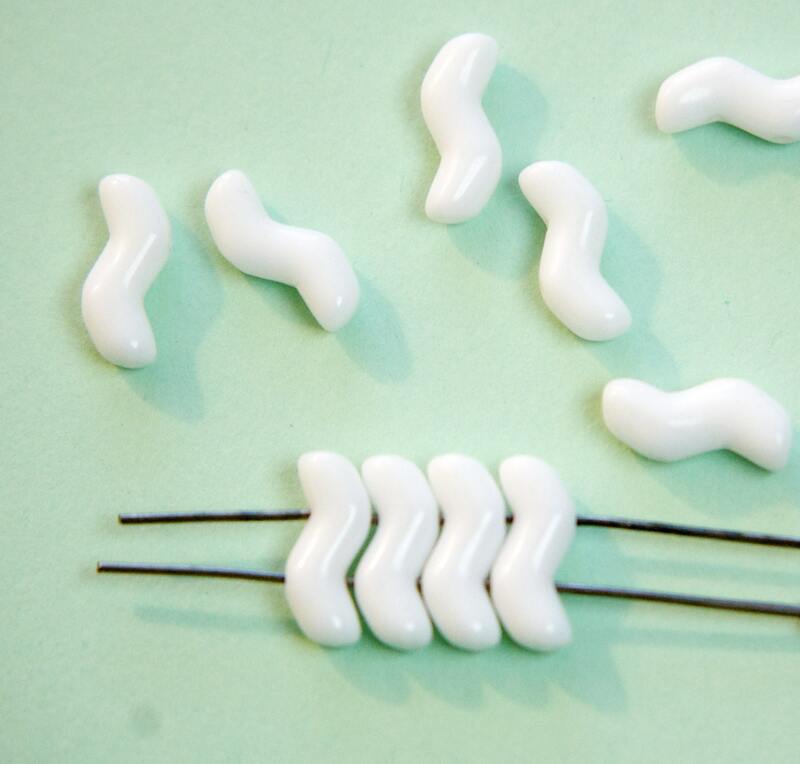 GREAT and unusual shaped white glass beads!! Thanks for the quick shipping!!! Unique "zebra stripe" bead. Cool shape. 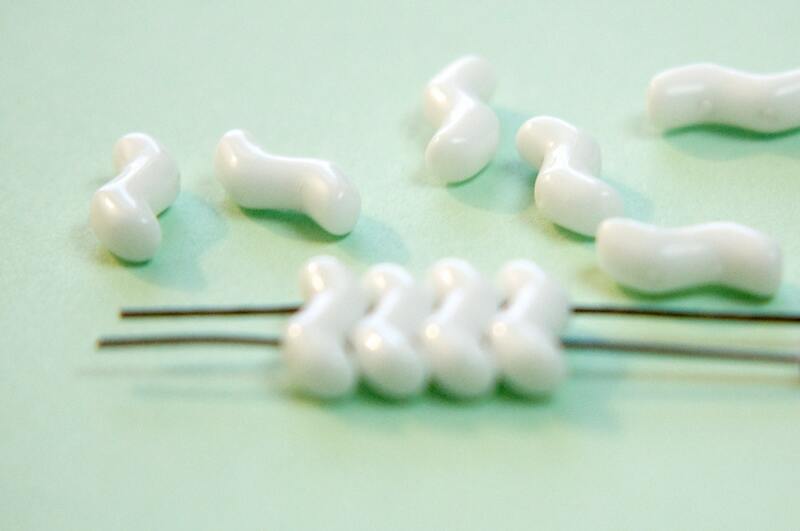 Perfect beads! thanks so much!